Justin BartonSergey Cheban, the Deputy Speaker of the Supreme Soviet of Transnistrian Moldovan Republic. Transnistria, a 125-mile-long territory on the border of Moldova and Ukraine, is home to half a million people. It has its own military, police, parliament, and postal system — and yet, you can’t find it on an international map, and it is completely unrecognised by the United Nations. In 1990, Transnistria declared independence from Moldova, hoping to remain part of the Soviet Union when Moldova broke away. It later fought a bloody war for self-rule from Moldova in 1992. Now, Transnistria cannot truly achieve its independence until at least one other country decides to recognise it. 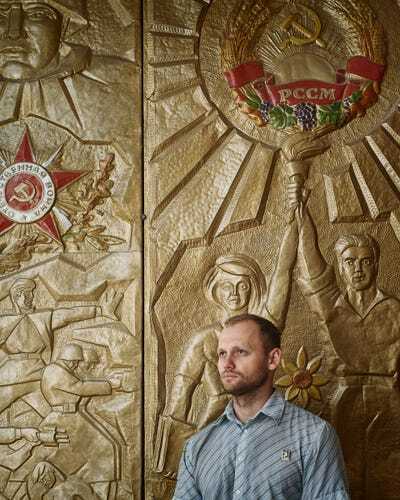 Many Transnistrians hold strong pro-Russian views, and the area is dotted with relics of the Soviet era. 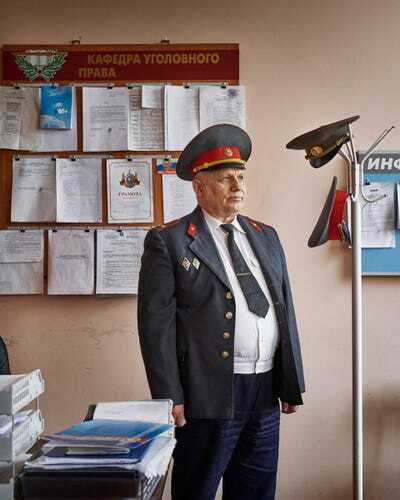 Photographer Justin Barton visited Transnistria in 2015 and had an opportunity to photograph officials and residents of the state. Below, meet some officials and locals of the country that technically doesn’t exist. 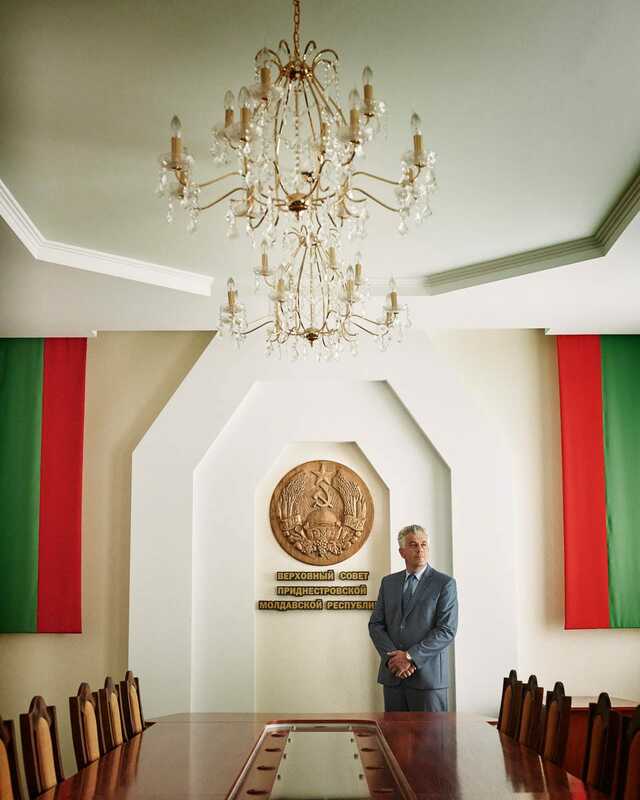 Although Transnistria is invisible on most maps outside of its borders and is unrecognised by the UN, it has a Ministry of Foreign Affairs, which is responsible for the country's diplomacy as well as for providing support for the country's citizens who are abroad. Below is Nina Shtanski, the head foreign minister. Transnistria also has all of the institutions of a fully fledged state, including police, a government, and an army. 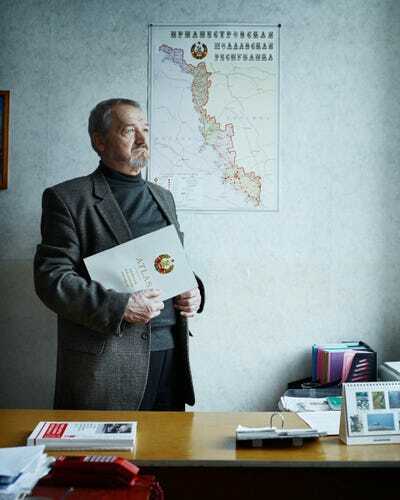 Nikolay Smolenskiy is a Police Lieutenant Colonel Expert in Transnistrian Criminal Law. Tiraspol State University is the only college in Transnistria. Nikolay Babilunga is a professor of Transnistrian History. He is also the creator of the history curriculum -- which outlines their historical right to independence -- for the university and other schools. The Komitet Gosudarstvennoy Bezopasnosti (KGB) -- in English, the Committee for State Security -- was the main security agency for the Soviet Union, though it still exists in Transnistria. 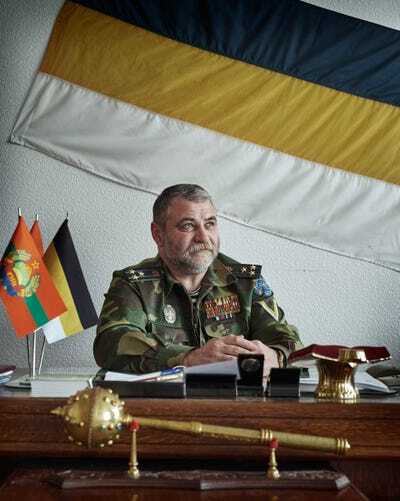 Igor Nebeygolova is a KGB Colonel and Commander of the Cossack Regiment in Tiraspol. 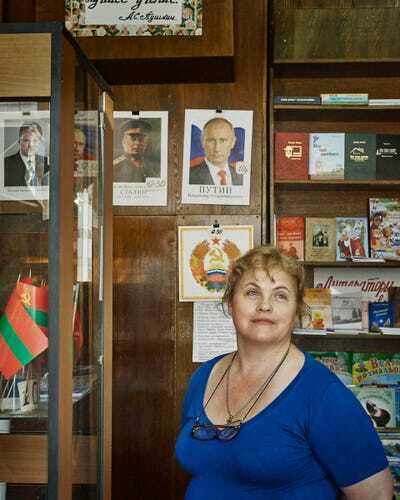 In Tiraspol, the capital of Transnistria, Natalia Yefremova runs a store that sells patriotic items like prints of Joseph Stalin, Vladimir Putin, and their president, Yevgeny Shevchuk. 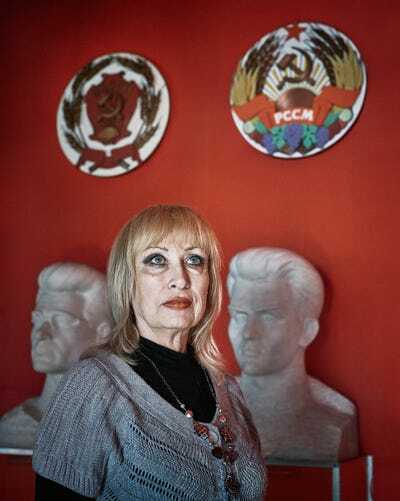 Irina Smirnova is the Director of The Museum of The Transnistrian National Tragedy at Bendery. The museum tells the narrative of the 1992 war between pro-Transnistria forces and pro-Moldovan forces. Tatyana Syarova is the Editor-in-Chief of Channel 1, the Transnistrian state television channel. 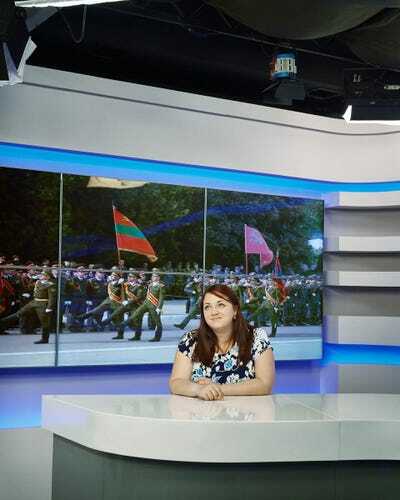 Tatyana Syarova - Editor in chief Transnistrian TV Channel 1 -The Transnistrian state TV channel remains popular particularly for local news and events. Anastasia Spatar is a 23-year-old student who has never left the area, or known another kind of government. 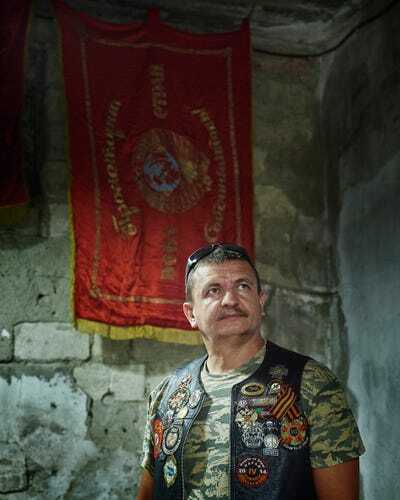 In Russia, motorcycle clubs are both highly political and nationalist. 'Vikings' is the motorcycle club of Transnistria -- Valery Isordan is a very active member. Nadezhda Bondarenko is the editor of the Transnistrian newspaper Pravda. Tours are available upon visit. 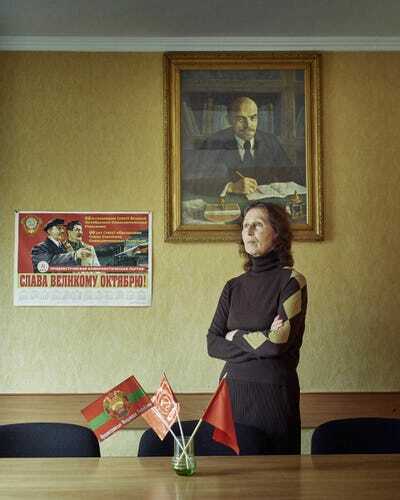 Transnistria's only tour guide, Audrey Smolenskiy, offers tours to a variety of the Soviet sites in the area.